I am a new patient, so I arrived early as there was some in patient paperwork to complete. The staff wasvery friendly, efficient and top notch professionals. Dr. Mahesh and assistants were superb. I am a new patient, so I arrived early as there was some in patient paperwork to complete. The staff was very friendly, efficient and top notch professionals. Dr. Mahesh andassistants were superb. **ATTENTION PATIENTS: Please include your INSURANCE ID NUMBER when booking your appointment! 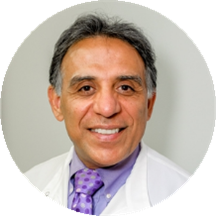 ** Dr. Manesh enjoys comprehensive individualized care and he places strong emphasis on care for the entire family. His philosophy of care is evident in his relationship with his patients as well as his fellow professionals and staff. Dr. Manesh insists on the highest level of excellence for himself and his dental providers. To help maintain this goal he has instituted frequent meetings to discuss the latest in dental techniques and to evaluate performance. Continuing education and patient satisfaction are of utmost importance to him. Great service, explained everything and upfront about costs. Dr Manesh was great and would go back though I did find them a bit pushy. One of the assistants was quite pushy on the Invisalign front which got old quickly. They tried to sell me on orthodontic prodecures and merchandise I do not need, including Invisalign. I had five years of hardware as a kid and my teeth and jaw are just fine. I wish they could focus more on the Dentistry. Very welcoming, thorough, and professional dentist and staff. It went very well. I am afraid of needles, so I was a little nervous, but everyone was so helpful. Excellent. Very pleased with my dental office, Dr. Manesh and his taff. Dr Manesh and his staff are friendly, caring and very professional. This used to be my normal dentist but I've realized some issues with this practice. He put on a crown a few years ago. A year or 2 after, when I went in for a filling he questioned the crown because-in his words- it looked like it needed to be replaced due to incorrect placement - when I told him he placed the crown, he was shocked. I contacted his front office regarding my insurance and it took over a month of me calling over and over again to finally get an answer. After a filling, I had some tooth pain and called for a refill on the pain meds, it took hours to get a callback and guess what - I had to call to finally get an answer. All of that only for him to refuse to approve the refill. Do you think he called and apologized for his staff's mistakes? Of course not. The way I see it, if someone doesn't care about keeping a patient, I need to find a new practice. I was traveling for work and unfortunately broke my tooth. I called at 5, and was seen by 530 which was the quickest I could get there. They had never met me, but treated me like a regular patient. They weighedmy options with me, made sure we picked the best one and not just fill the tooth until I can get home. I did end up paying for my temporary crown, but they were so very empathetic and are going to continue to work with myself and my dentist until resolved. I wish I lived here, I would've found a new dentist! The office is amazing! Everyone I met with was caring and professional. I felt sure that they knew what they were doing, were going to give me the best treatment possible, and wanted to help me feel comfortable. Dr. Manesch accommodated an emergency situation with grace and ease. I was given a same day appointment, greeted by lovely front desk staff, and made to feel confident and certain of a good outcome for my treatment. The ambiance in the office is calming and comforting. It was good and fast. Don't waist your money and time Any longer .Dr. Ben Manesh is the Best QUALIFIED, EXPERIENCED,PROFESSIONAL And CARING Dentist That I've ever come across. He and his friendly staff are superior In managing my pain and stress. Highly recommended to all. Ben Manesh and his staff are amazing! Wonderful , and friendly team. My visit was very pleasant. Dr.Ben Mannesh was amazing and caring with great personality. i honestly felt like I was visiting friends. Dentists are scary but NOT here. Its so loving and great!!!! Dr. Manesh was great & he did a great job. The issue was his office manager who kept trying to max out my insurance for unnecessary procedures. It was extremely unprofessional. Then they call you to attempt to persuade you to come back for future work. It was an emergency visit for a filling that fell out. Dr. Manesh and his team were quick to respond and get me in the chair, prepped, and finished with the procedure to replace my filling. I was very grateful the office was open on a Saturday. Thank you all. Dr. Manesh was great as always. I came in for a tooth extraction and was a little nervous, but the staff was reassuring and Dr. Manesh was fast, efficient, and gentle. The procedure lasted 4 minutes exactly (not exaggerating!). I will continue to go back to Dr. Manesh. I had four fillings replaced, in one sitting. I was worried that would be too much at one time, but Dr. Manesh and his staff handled everything expertly and it was a breeze. The staff is very kind, welcoming, and attentive,and Dr. Manesh is relaxed and very skilled -- just what I needed. What a great dentist! The whole office is friendly and he did great work on my teeth. The crown he put in is perfect. I would highly recommend this practice to other people looking for a dentist. It was great because I was afraid of the dentist and he made me feel comfortable. Allen H. June 2016 I of course am no dentist, But it seems to me that only one time to go to Dr. Manesh should be required for new impressions for new dentures, rather than---THREE TIMES. Other than that all was good. After a hellish first few months in Washington with an urgent and difficult root canal, visits to 5 denists and endodontists, and a lot of money out of pocket, I came to Dr Manesh. He took care of the actual problemright away, with the quickest root canal I had ever had. He also has the best technology and made a perfect fitting crown that feels like my natural tooth. I am going back tomorrow to get my teeth whitened pre-wedding. Great dentist offices are hard to find, and Dr Manesh is a great dentist with a great staff. Honestly, I would never go to another dentist in Washington again. Dr. Manesh was professional and quick. He provided me with options on a treatment, did not push me into a certain course of action, and answered all of my questions in depth. His assistants and office staff were kind, courteous, and professional. I highly recommend Dr. Manesh. Dr. Manesh was very friendly and courteous, and was efficient during my dental examination. I would recommend to anyone, especially since he offers Saturday appointments! Great experience, very professional Doctor and great service. Very professional and respectful doctor who takes his job seriously.. The dental hygienist was also fantastic. The doctor is fine. But the assistant who provides pricing is not good and I do not recommend her at all. I went to see Dr. Manesh for a teeth cleaning. He was very thorough with the cleaning and I would definitely go back. Dr. Manesh is highly recommended, thorough, and completely above and beyond expectations. Will enthusiastically recommend to family and friends.